Grace is a precious baby girl. She is sweet and loving and praying you see what a special baby girl she is. She is strong in body and spirit. It is so refreshing to watch her play without a care in the world. Grace is so stunning; she will make her mark on your neighbors and friends. She has a way about her that stops strangers as they walk by, they just have to have a closer look. If you are looking to fall in love, you have found Grace! My new name is Phoenix and my new home is Jacksonville, FL . 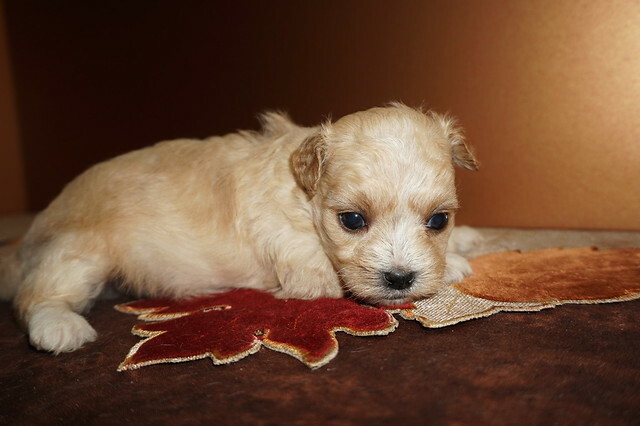 Grace is the only female in this litter of one and you couldn’t ask for a cuter one at that! She is so beautiful with her rich blue silky hair with white markings on her chest and all four paws and don’t forget her tail making her so gorgeous! Don’t take to long to decide she won’t last long! Her adult weight estimated to be 5-7 lbs her birth weight 4 oz. 4 PUPPIES 1 STILL AVAILABLE! SOLD! 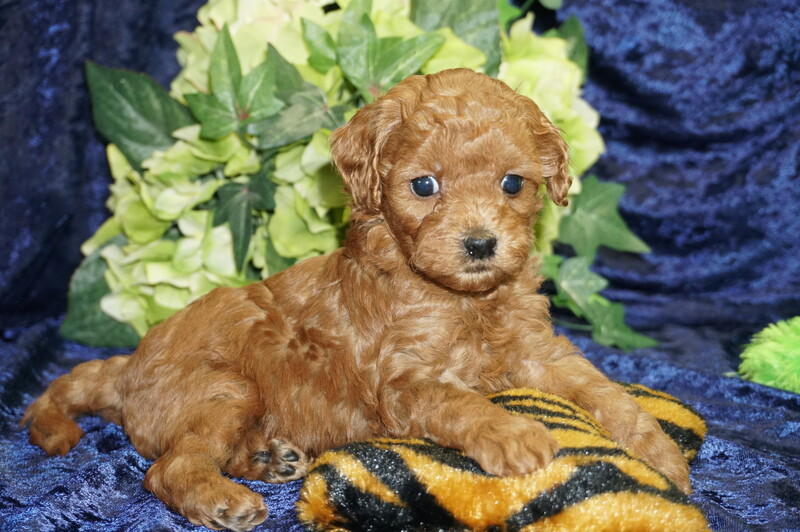 Sweetie Beautiful Red Apricot Female CKC Malshipoo Smallest Of Her Litter! This cutie is Sweetie! She’s just a doll. Her coat is soft to the touch. Just one look into those eyes and you’ll be in love. Sweetie loves to be spoiled, and would love nothing more than to have a family she can call her own. 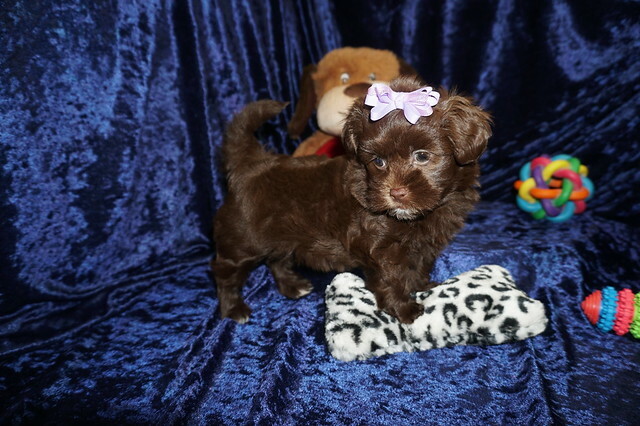 She loves to run around and play, she will not leave you with any dull moments. She loves dashing across the room to snuggle up on your lap. She will just love the attention that I am sure you will give her. 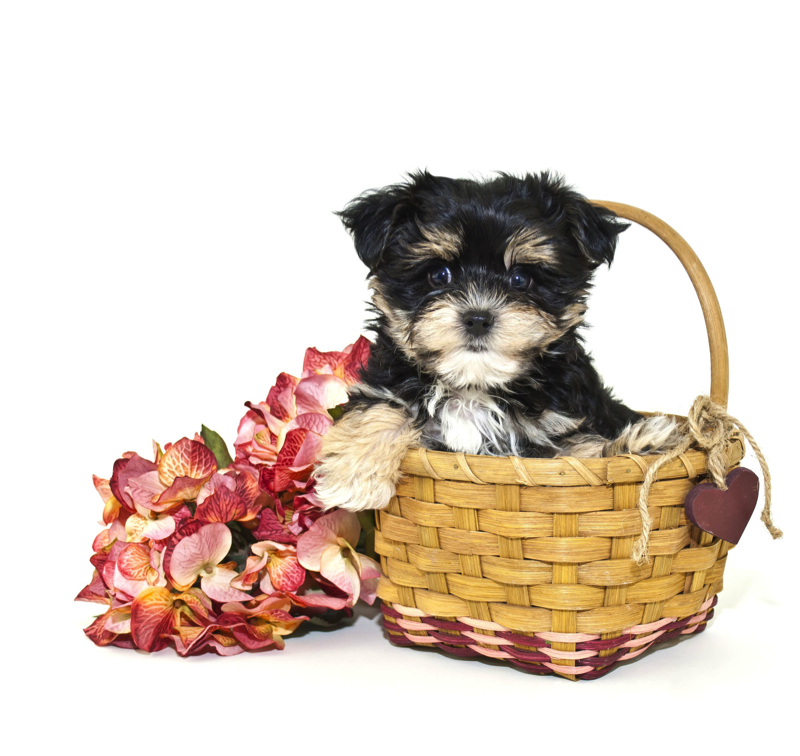 Coming home from a long day, Sweetie will be eagerly waiting to plant the sweetest puppy kisses on your face, while your frustration melts away! This munchkin is full of charm. She will grab the attention of all those around her! If you’re looking for a cuddle buddy, a friend or someone that will listen without complaint, Sweetie is it! 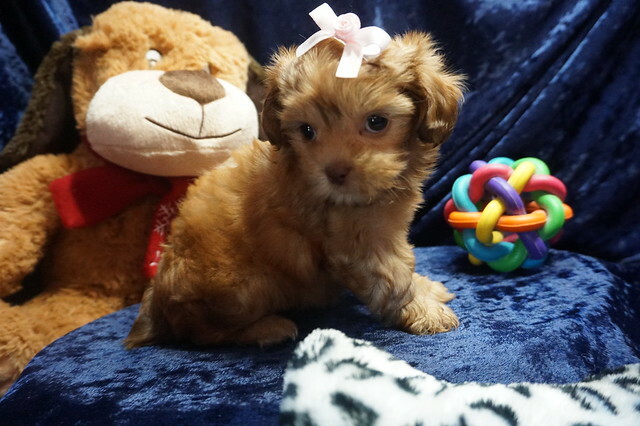 This precious baby is just waiting for her forever family! Don’t miss out! 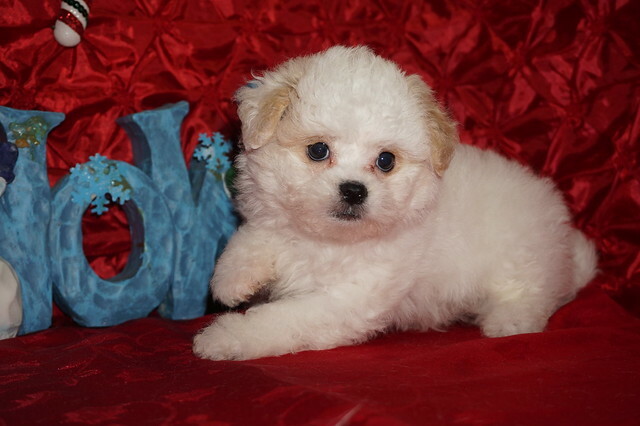 SOLD: CONGRATULATIONS ANDRES FAMILY on your 2nd puppy from TLC Puppy Love! My new name is Kiki and my new home is Jacksonville, FL. 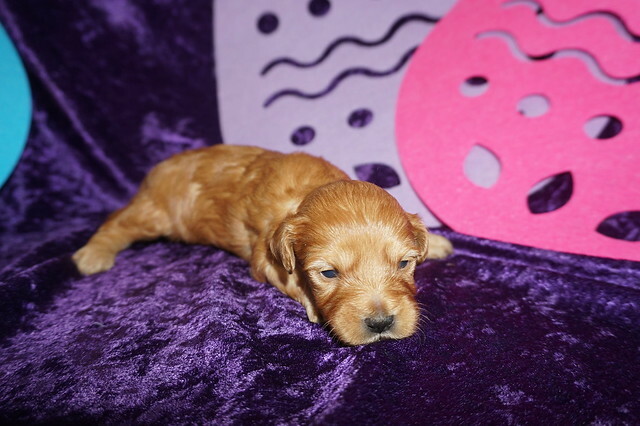 Sweetie is the one of three females in this litter of five and you couldn’t ask for a cuter one at that! She is so beautiful with her gorgeous red apricot silky hair and don’t forget her tail making her so gorgeous! Don’t take to long to decide she won’t last long! 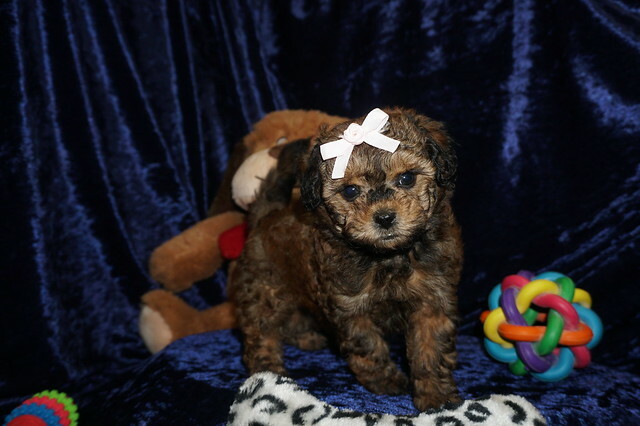 Her adult weight estimated to be 6-7 lbs as she was the smallest of her litter and her birth weight 4.6 oz. SOLD! 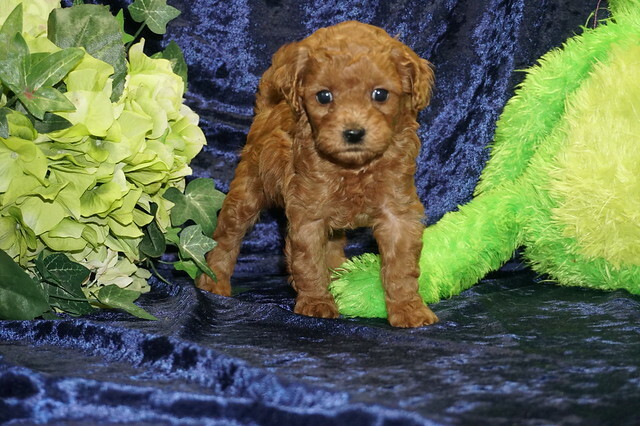 Sammy Red Male CKC Malshipoo Call Today He Won’t Last Long! You have just found “The One!” Meet the most handsome boy ever, Sammy. He is currently waiting for his forever loving family to make him theirs today. Sammy is just as playful and lovable as they come. He will be sure to be the talk of your town. He is a gorgeous red color that will make your heart skip a beat. 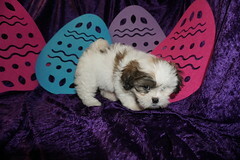 He will be sure to make that perfect loving addition that you have been searching for. Waiting on my new name and my new home is Fort Myers, FL. 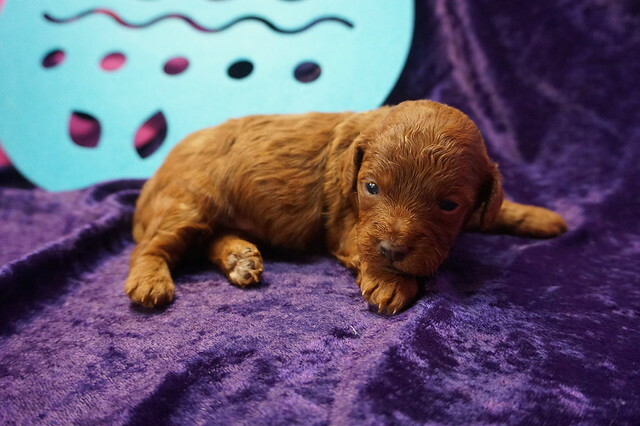 Sammy is the one of two males in this litter of five and you couldn’t ask for a cuter one at that! He is a gorgeous red color with his full tail. His red color will make your heart skip a beat. 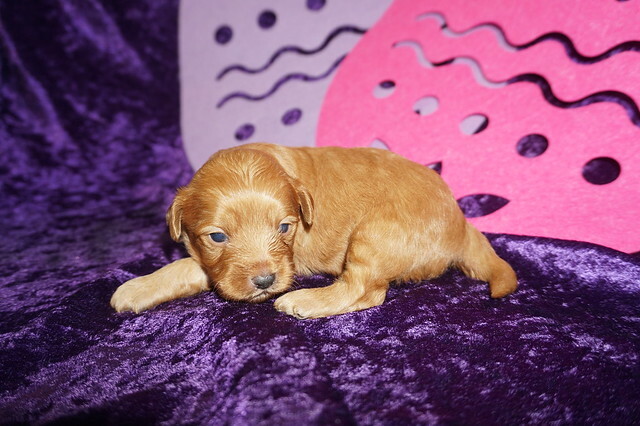 Don’t take to long to decide with his red color he won’t last long! 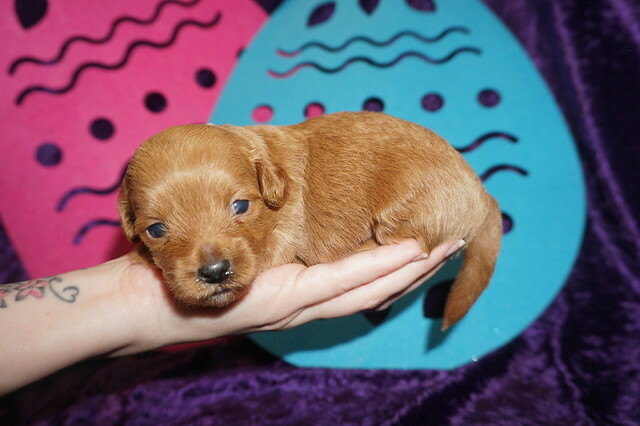 His adult weight estimated to be 8-10 lbs he is the largest of his litter with his birth weight 6.1 oz. SOLD! 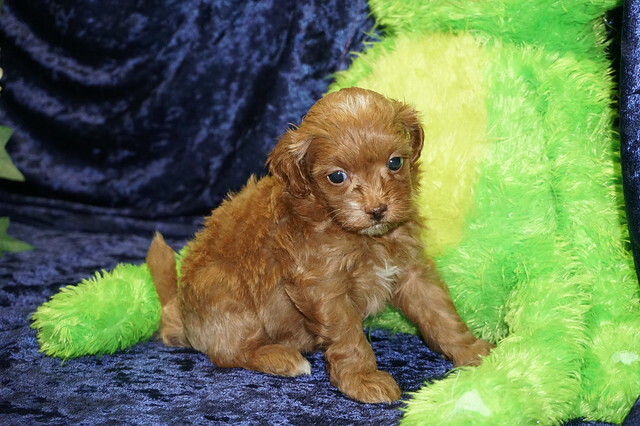 Sugar Absolutely Gorgeous Red Apricot Female CKC Malshipoo! This is Sugar and trust me she is as sweet as sugar! She loves to snuggle and have belly rubs! She is a little girl, with a big heart! She is also a people puppy with a lot of personality! She has so much love for her new forever family! Don’t miss out on Sugar! Call today before it’s too late! She won’t be here long! Waiting on my new name and my new home is Madison WI . 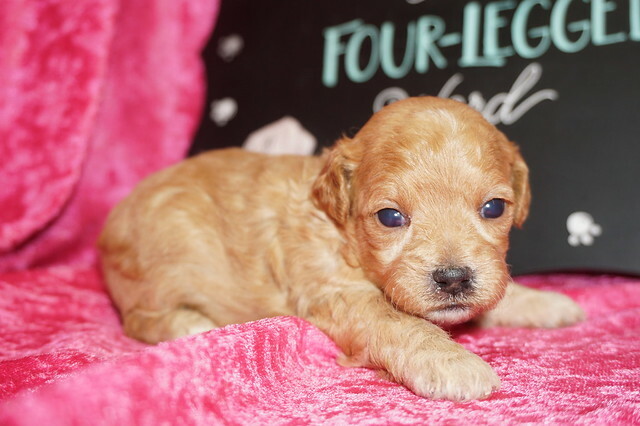 Sugar is the one of three females in this litter of five and you couldn’t ask for a cuter one at that! 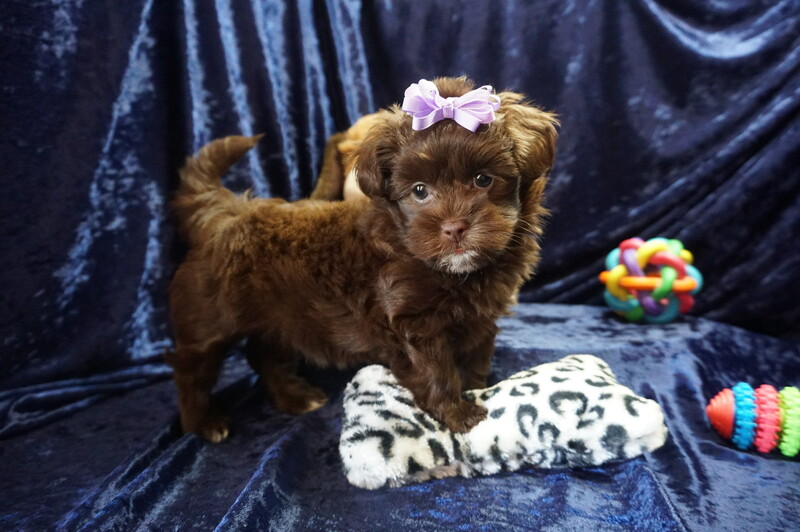 She is so beautiful with her rich red apricot silky hair She has the most adorable spot on top on her head and a tiny white tip on her tail that was not docked and it is gorgeous! Don’t take to long to decide she won’t last long! Her adult weight estimated to be 8-10 lbs her birth weight 5.2 oz. SOLD! 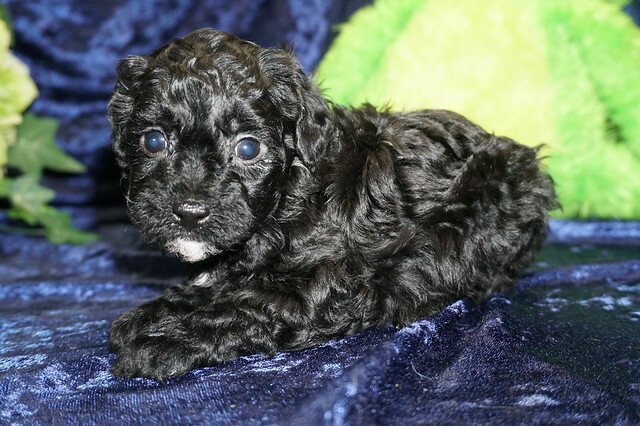 Shadow Male CKC Malshipoo Your Beautiful Black Blue New Best Friend! Waiting on my new name and my new home is St Marys, GA. 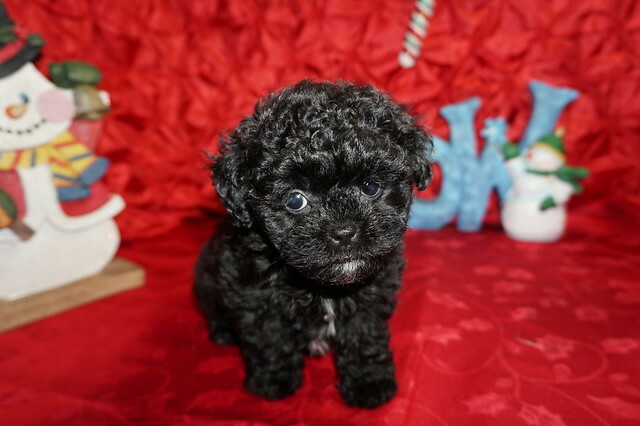 Shadow is the one of two males in this litter of five and you couldn’t ask for a cuter one at that! 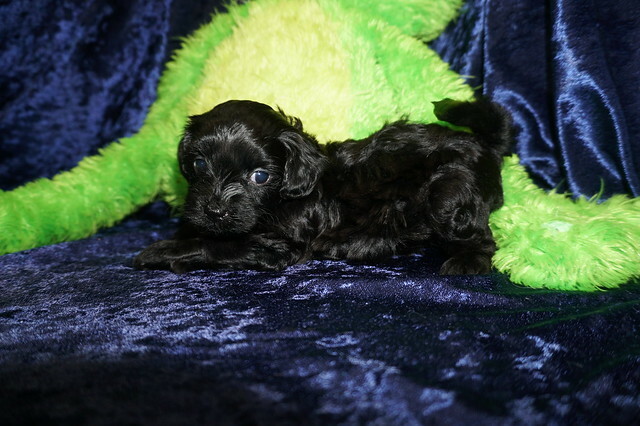 He is so gorgeous with his rich black silky hair but as he matures he may turn blue color which is a dark gray color. He has a tiny amount of white markings on his chin and chest and don’t forget his tail making him so gorgeous! Don’t take to long to decide he won’t last long! His adult weight estimated to be 8-10 lbs his birth weight 5.3 oz. My new name is Asia and my new home is Palmdale, CA . 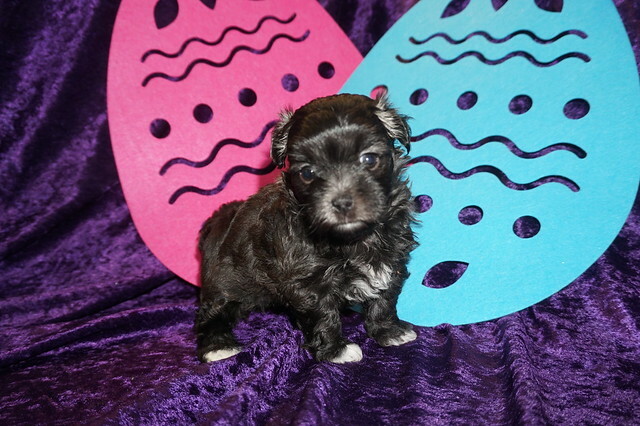 Smoochie is the one of three females in this litter of five and you couldn’t ask for a cuter one at that! She is so beautiful with her rich black silky hair but as she matures she may turn blue color which is a dark gray color and don’t forget her tail making her so gorgeous! Don’t take to long to decide she won’t last long! Her adult weight estimated to be 8-10 lbs her birth weight 5.2 oz.